Everywhere I look these days, it seems like I am reading more and more about wearable technology. Earlier this year, I started using Fitbit to “quantify myself” in an effort to improve my overall health. As a urologist, I started wondering about the technology our patients might be wearing in the near future. I did some research, and found some interesting examples of wearable technology in urology. We all have incontinent patients in our practice who are prone to developing recurrent urinary tract infections. When these patients begin to develop an infection, their symptoms are not always readily recognized. Pixie Briefs are diapers with an embedded patch that tests urine for evidence of urinary tract infection. When the patient voids into the diaper, the patch on the front of the Pixie Brief is scanned with a mobile device. The data collected is automatically entered into an algorithm. When the algorithm detects evidence of a urinary tract infection, or dehydration, an alert is made. This technology is already available for infants and toddlers in the form of the Smart Diaper. Foley catheters and suprapubic tubes are used in a wide variety of patients for the management of urinary retention. Many of these patients have mobility issues, use a wheelchair, or are unable to sit out of bed. For these patients, day-to-day living with a leg bag can present a significant challenge. The Melio leg bag system is designed to help these patients better manage themselves. The system consists of a leg bag with an embedded sensor, a patient controller, and a pump with extension tubing. The sensor within the Melio leg bag begins alerting the patient when the leg bag is two-thirds full of urine. Once alerted, the patient uses the controller to activate the pump. The pump pushes the urine out of the leg bag and into extension tubing that the patient can easily reach and readily control. The device allows patients who may have previously required assistance to empty their leg bag to have complete control over the emptying process. As urologists, we are all very familiar with the surgical steps involved in creating an ostomy. I think it’s fair to say, however, that most of us are far less familiar with the day-to-day challenges that accompany living with an ostomy. The Ostom-i-Alert system is the brainchild of ostomate Michael Seres. 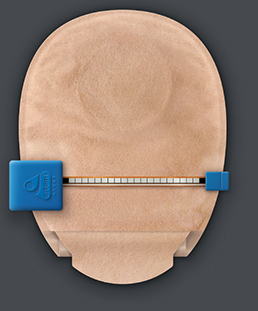 This product is a sensor that clips onto any standard ostomy bag. The sensor collects data as the ostomy bag fills with urine, or bowel contents, and transmits the data to an application on the patient’s mobile phone. The app then alerts the ostomate when the ostomy bag needs to be drained. Output data acquired by the sensor is securely stored and, if necessary, can be e-mailed to the surgeon, ostomy nurse, or any other member of the health care team. Recently, there has been a tremendous amount of investment, research and development, and direct patient marketing in the field of wearable medical technology. In the next couple of years, we are likely to see many more products being introduced into the marketplace. Some of these products will undoubtedly be of help to our patients. Other products will probably just be fancy gadgets with very limited, if any, real clinical value. As urologists, I believe we need be aware of these devices. We also need to start seriously thinking about how we are going to partner with our patients and their families to appropriately interpret, and responsibly act upon, quantified-self data. 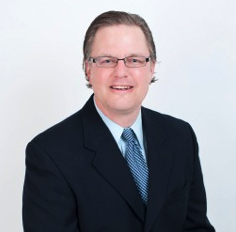 Dr. Brian Stork is a community urologist who practices in Muskegon and Grand Haven, Michigan, USA. He is a member of the American Urological Association Social Media Committee and is the Social Media Director at StomaCloak. You can follow Dr. Stork on Twitter @StorkBrian. Really interesting blog Brian. I am keen to see that wearable technology has now being used in such varied aspects of healthcare. They undoubtedly lead to improved self management and remote monitoring for patients which inevitably leads to improved health outcomes. This is great news! As a retired nurse I am thrilled to see the progress, from caring people, creating patient comfort and independence with advanced technology of today. In the "pro" verses "con" debate regarding technology, this article certainly outlines one of the "pros" of our evolving technologic world. It was fascinating to read how the creation of these wearable devices are improving people's lives. Amazing technology and great ideas. I didn't know any of these existed. I do wonder, how much do some of these things cost? I guess the legbags and ostomy bags are just one-off costs. @Matthew Bultitude We are hoping to price Pixie Briefs at a small premium to traditional ones. Since people would only need to use one per day (other 4-5 would be regular briefs), the cost increase shouldn't be quite reasonable (especially if taken into context of possible benefits).